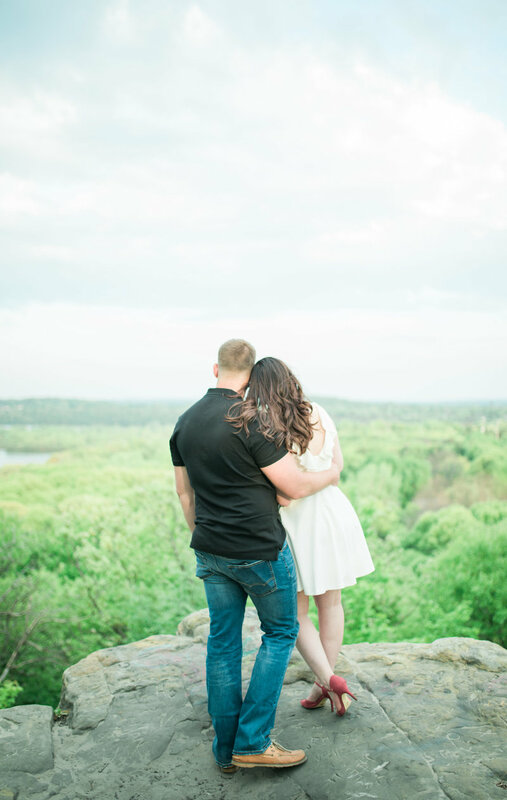 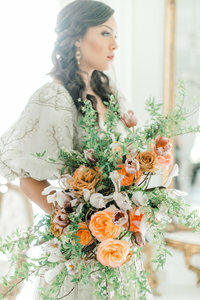 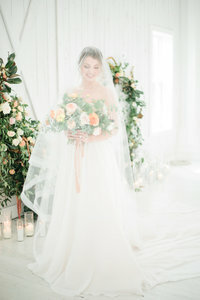 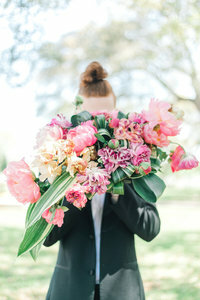 What an ADVENTURE this engagement session was! 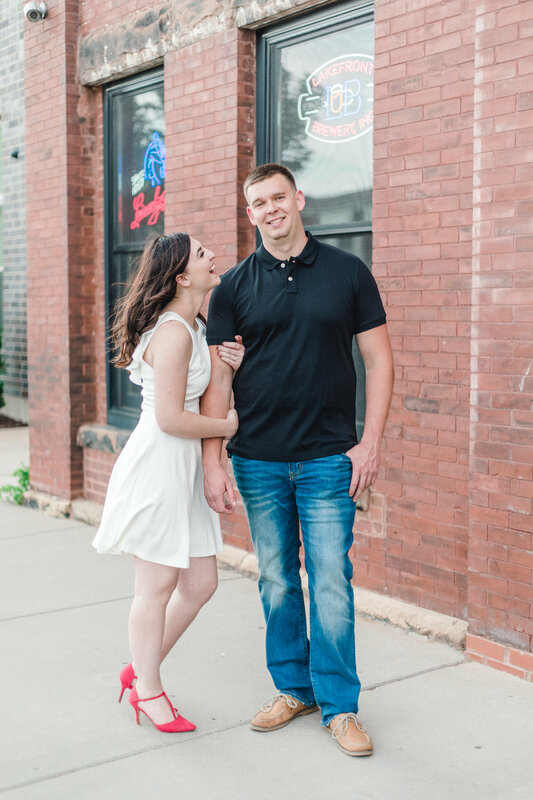 We laughed A TON! 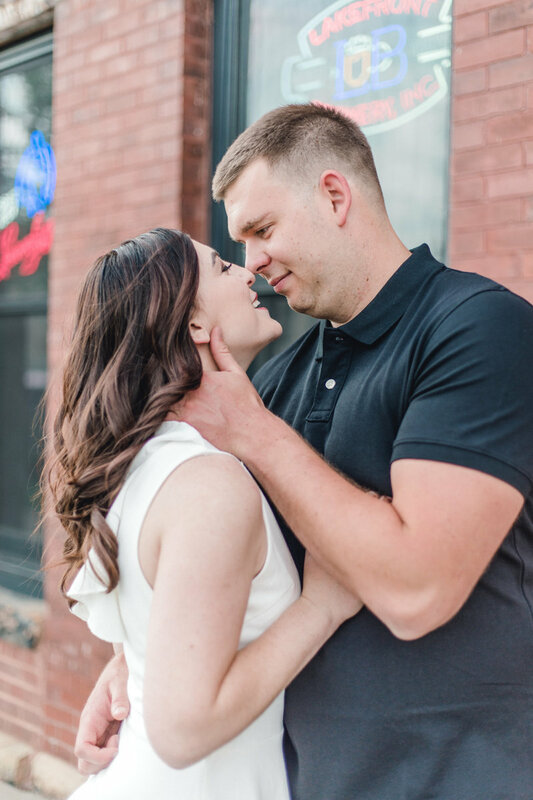 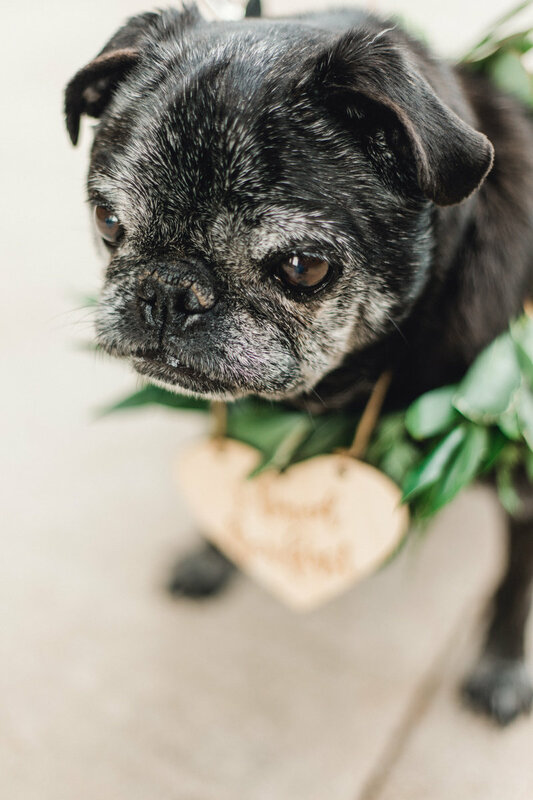 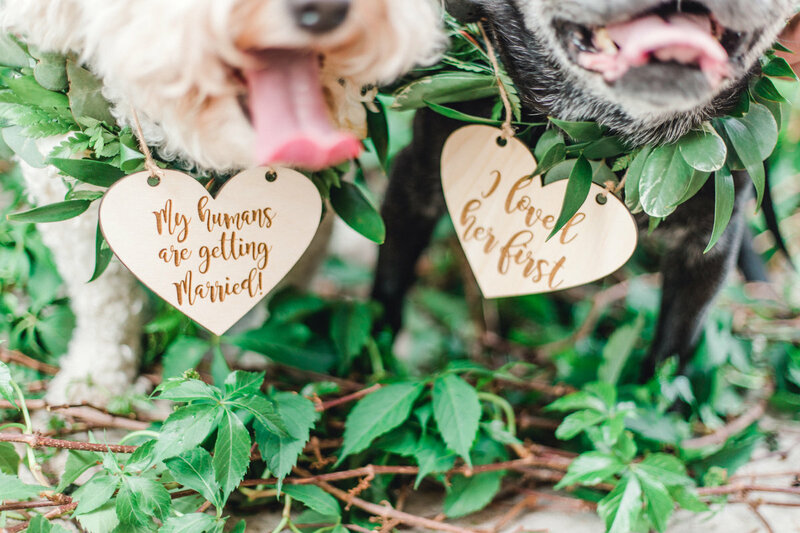 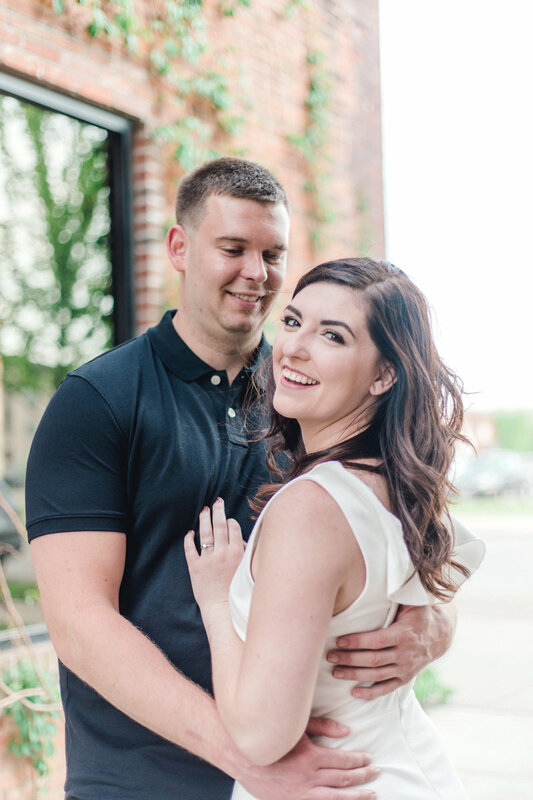 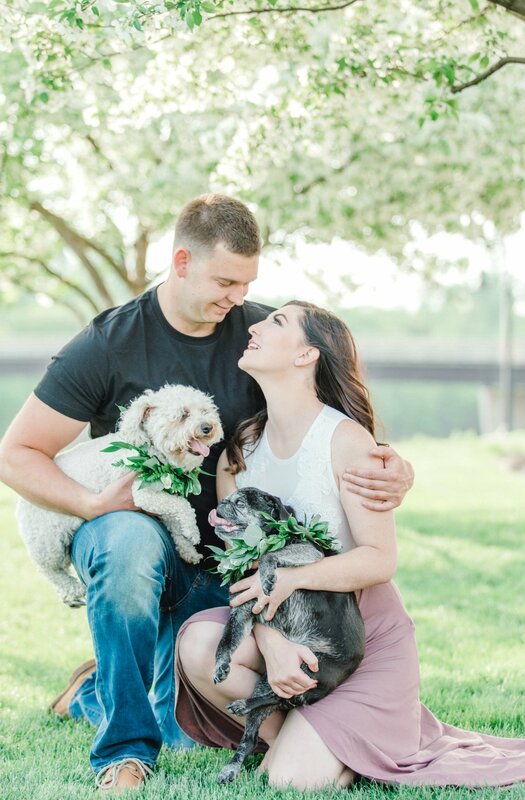 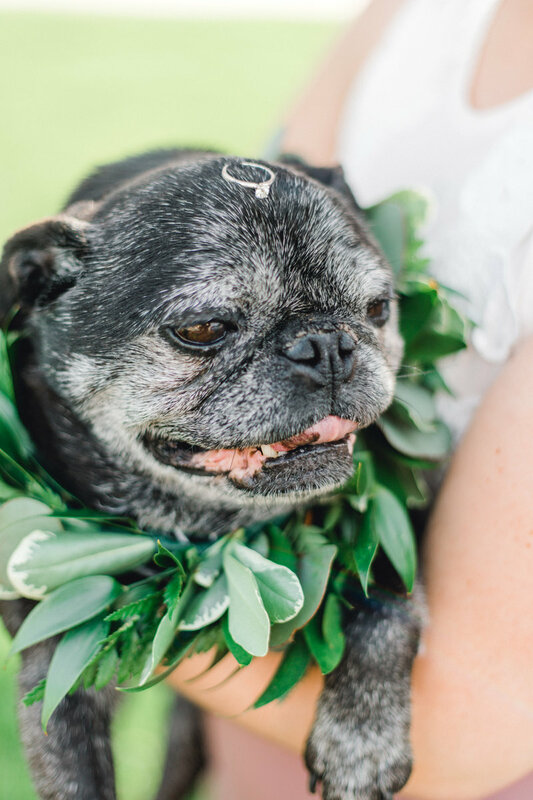 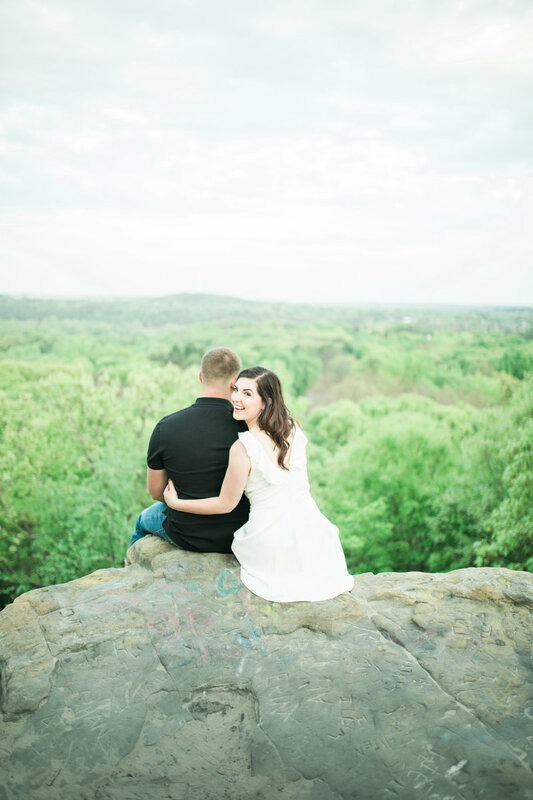 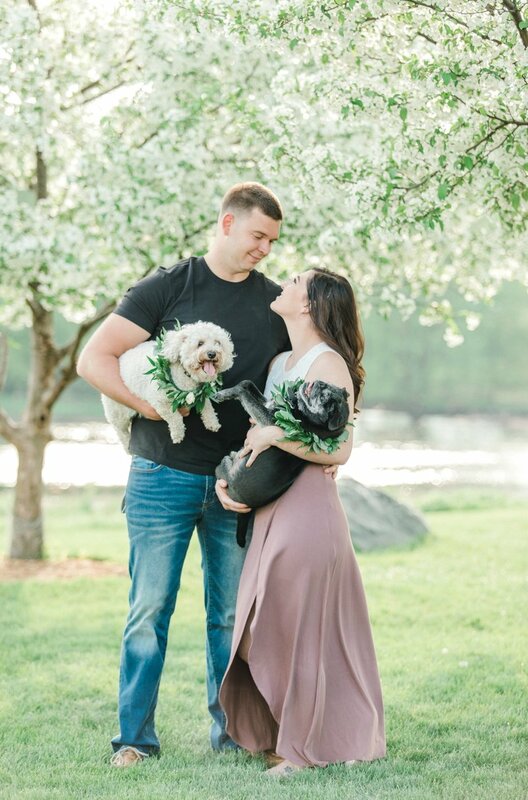 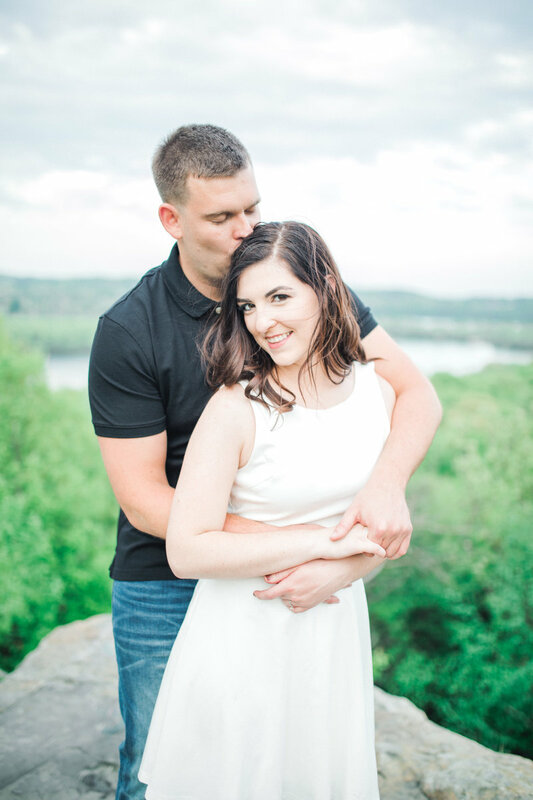 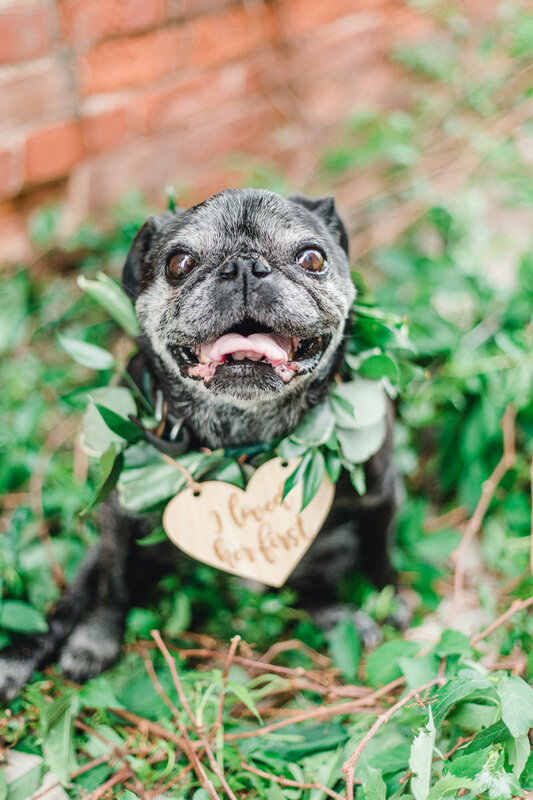 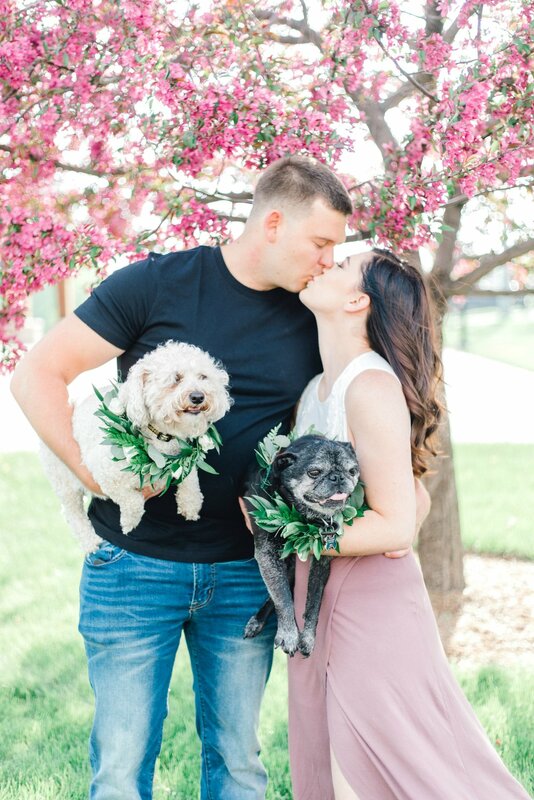 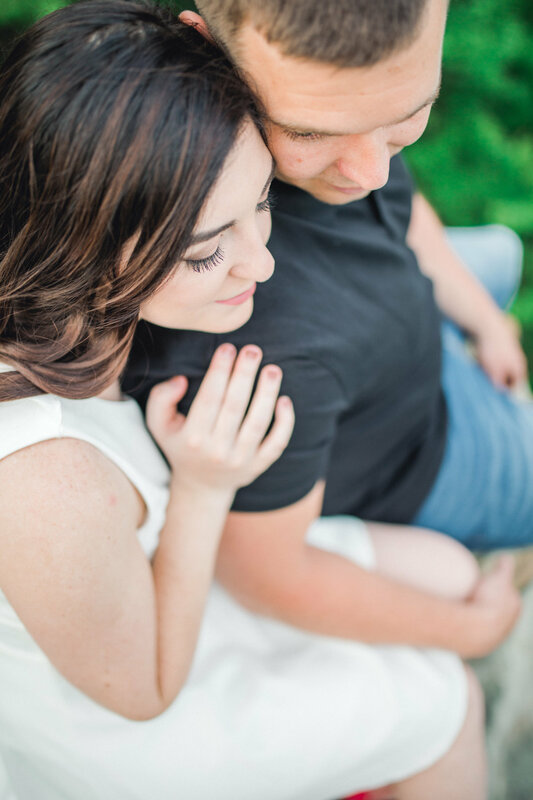 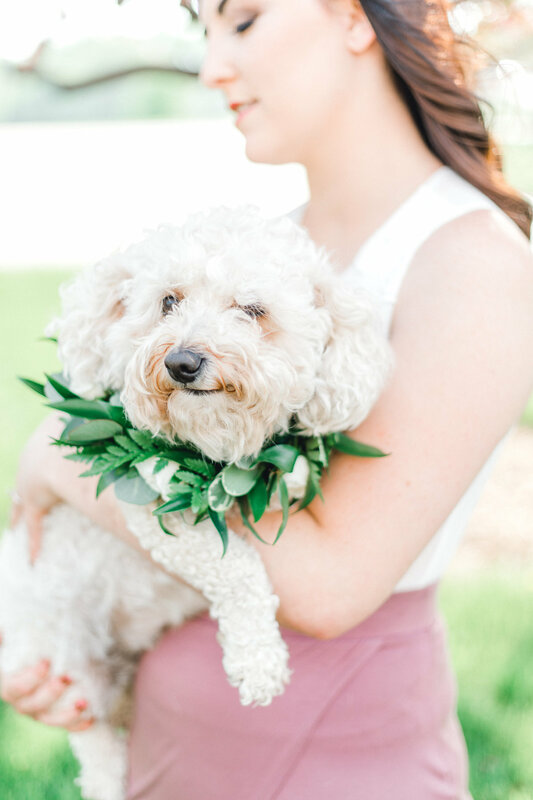 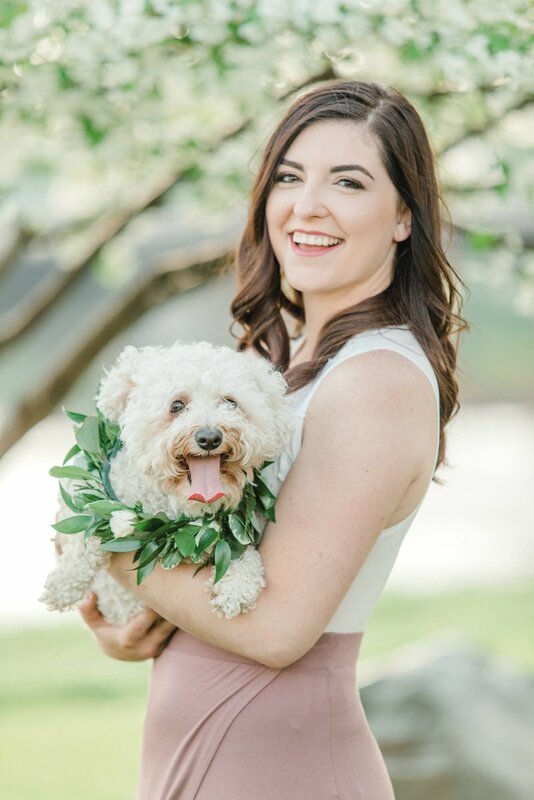 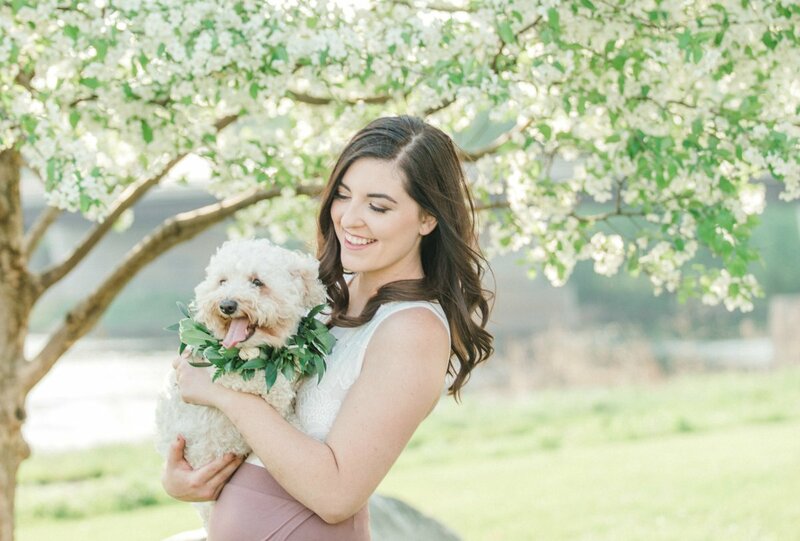 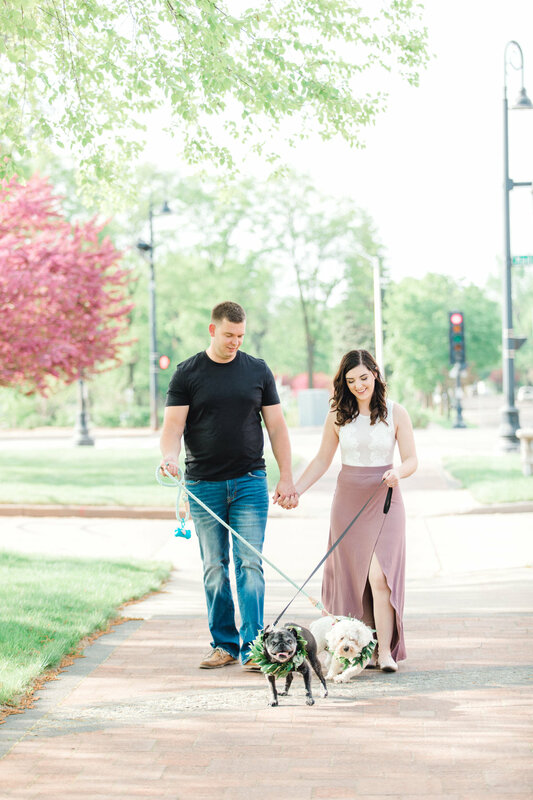 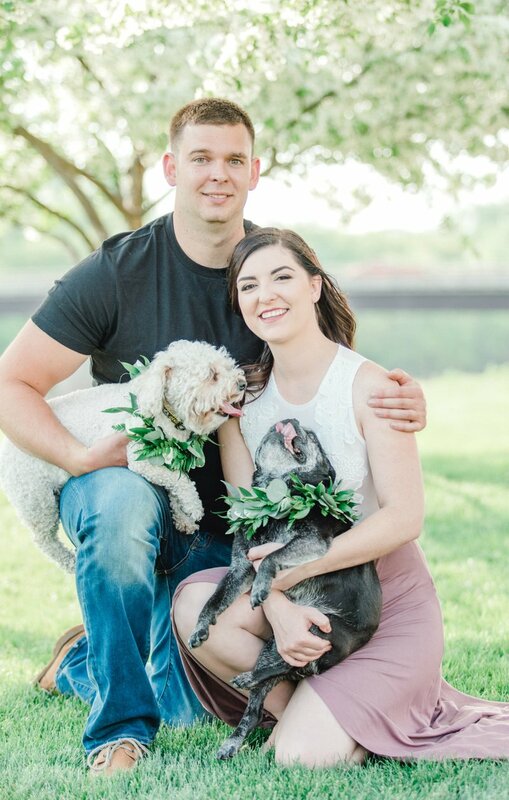 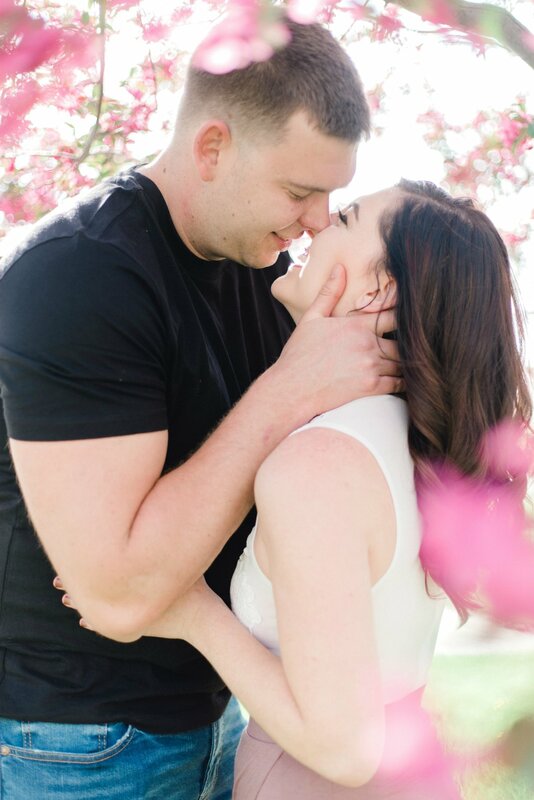 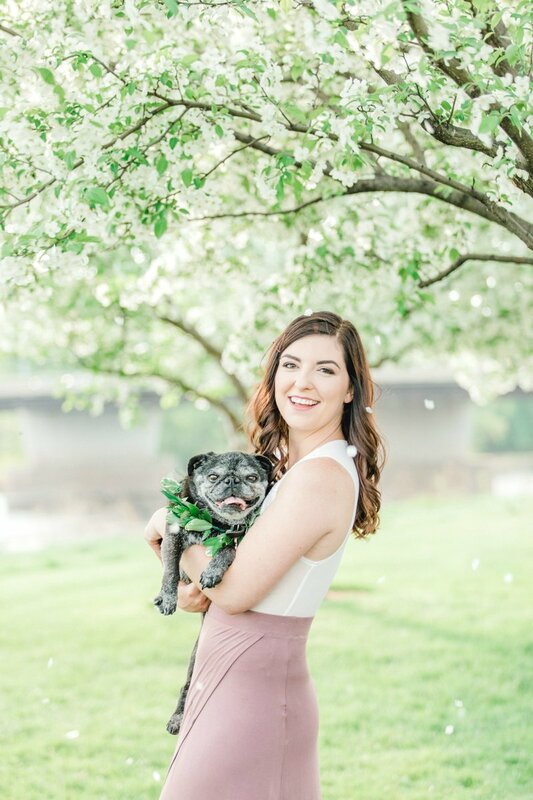 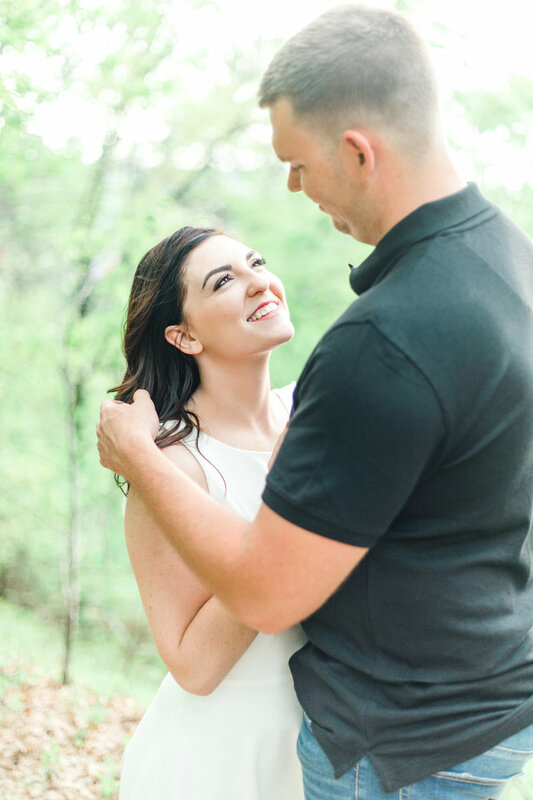 Getting to know Rachel and Tanner and get to watch them together during their engagement session was so much fun and their furbabies Cash and Polly made a special guest appearance. 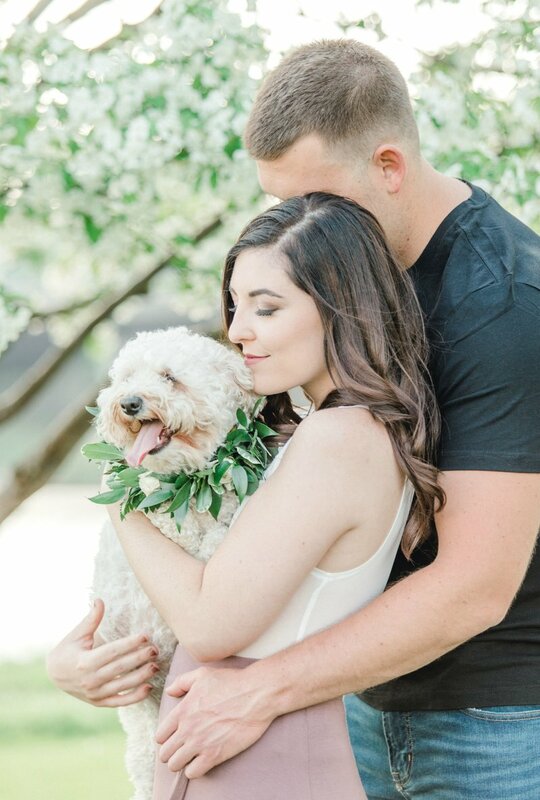 Seriously the cutest! 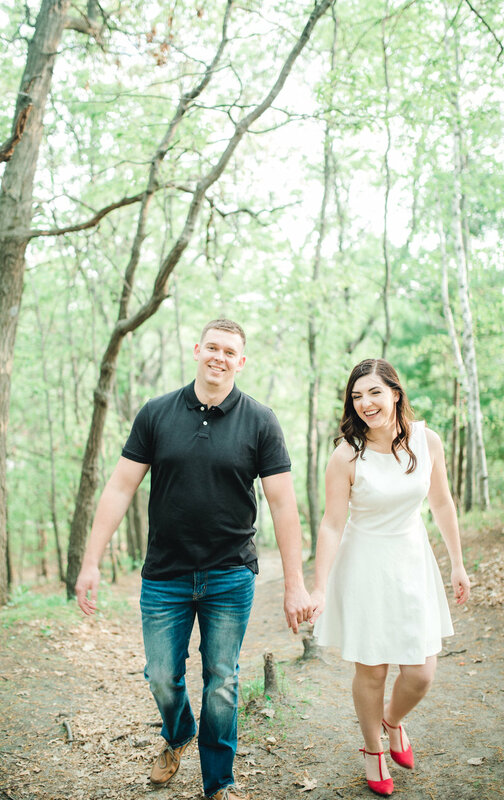 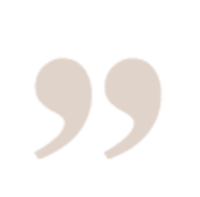 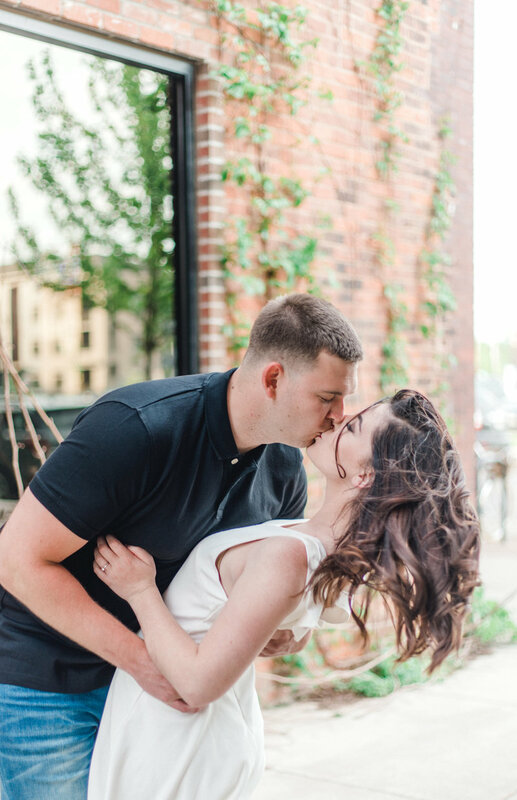 Rachel and Tanner have so many adventurous hobbies and passions that they enjoy together from snowboard to wakeboarding, fishing, and snowboarding together. 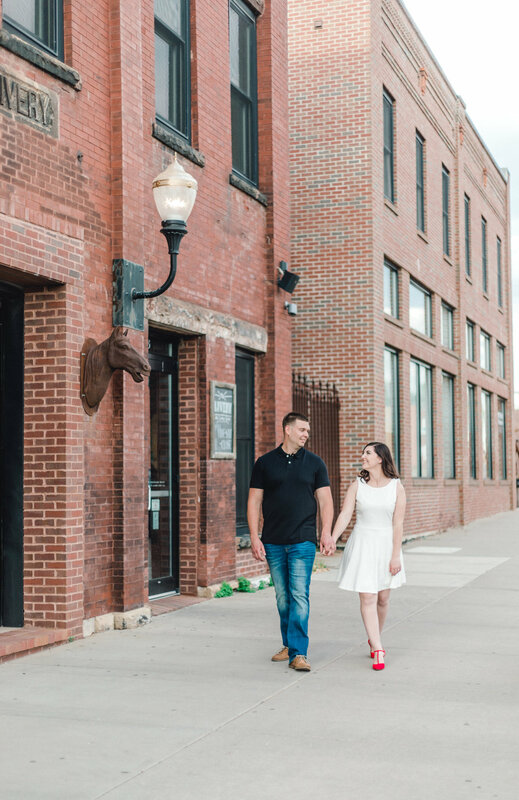 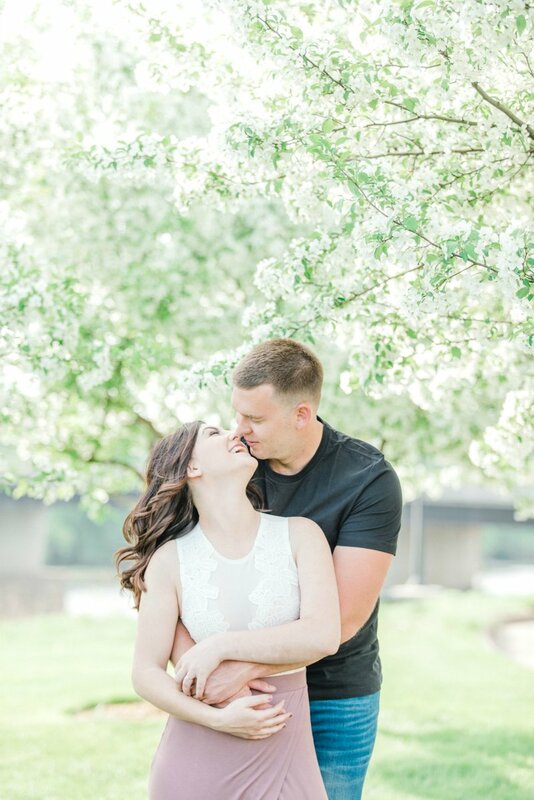 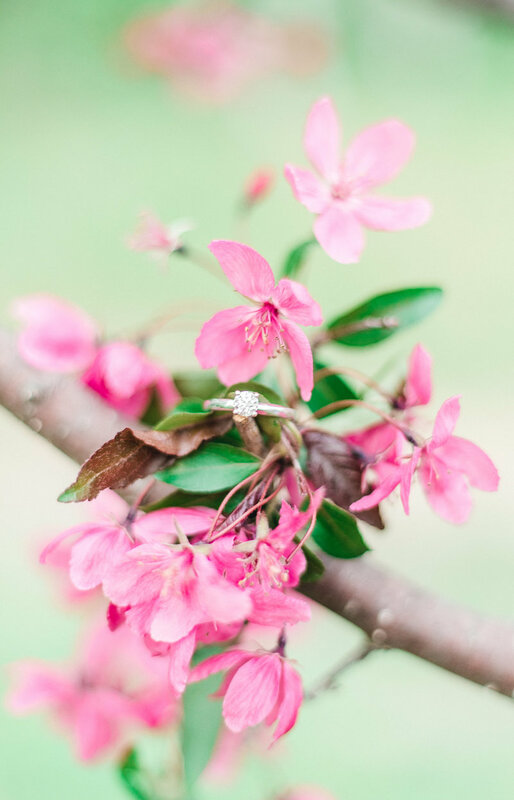 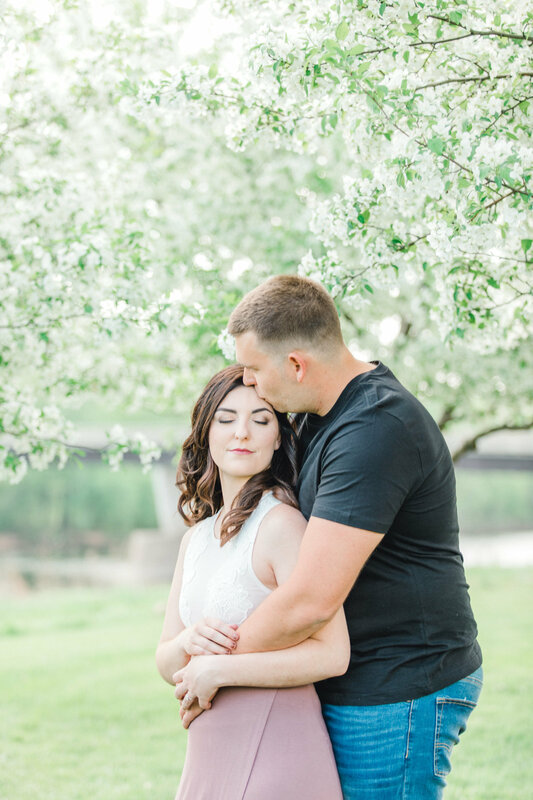 We started their session at downtown Eau Claire WI with some blooming trees to The Livery Restaurant where Rachel and Tanner had their first official date. 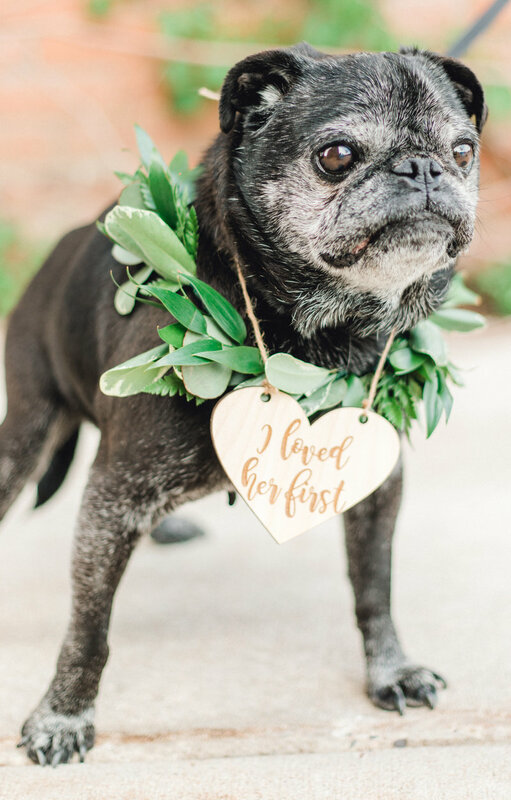 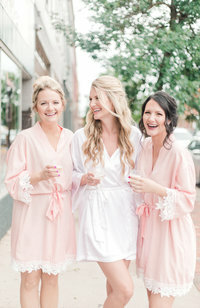 Sooo sweet! 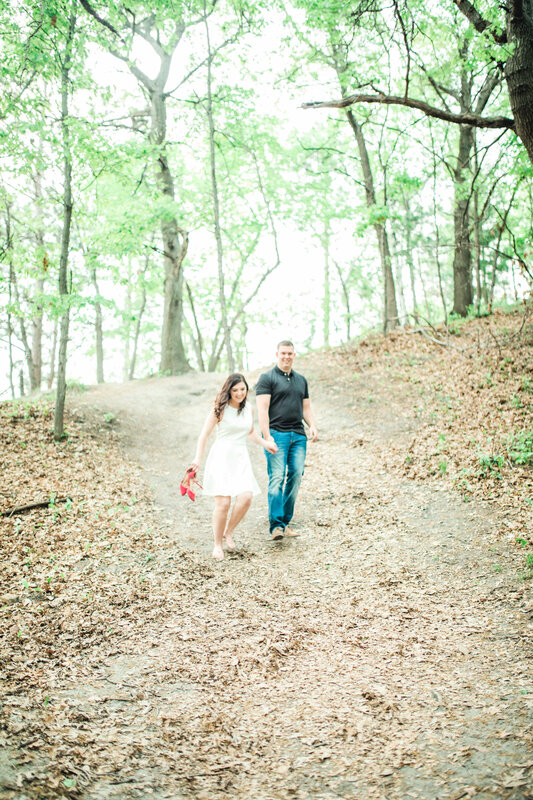 We then end our session at Mount Simon and I love how fearless Rachel is walking in HEELS to reach the summit of the top of the world. 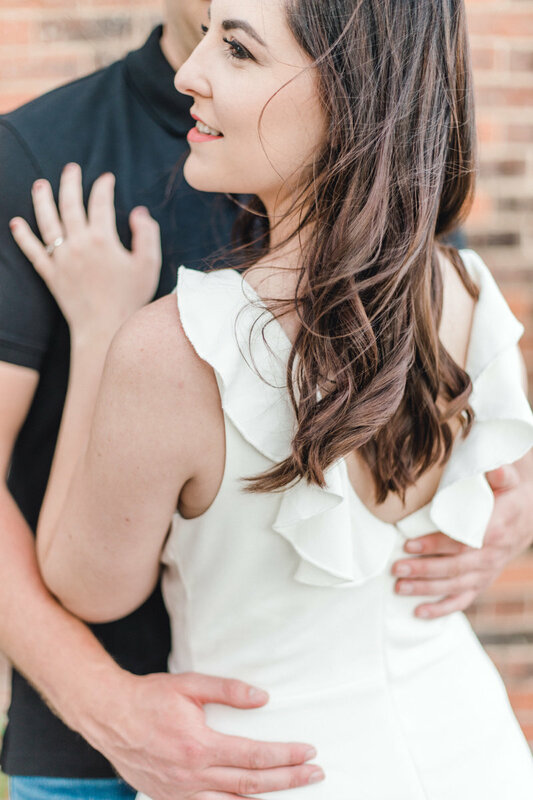 Congratulations you two on your engagement, soooo excited for your August wedding!!! 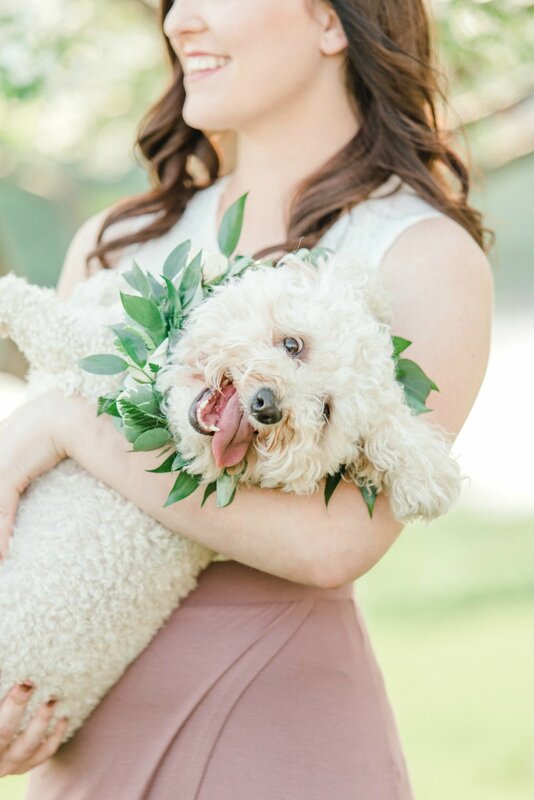 When Polly had enough photos, she gave me this looks and called it a day!